While Nike still dominates March Madness sponsorships. 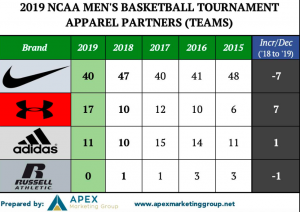 Under Armour saw a record 17 of its schools head to the NCAA men’s basketball tournament, up from only 10 the prior year. 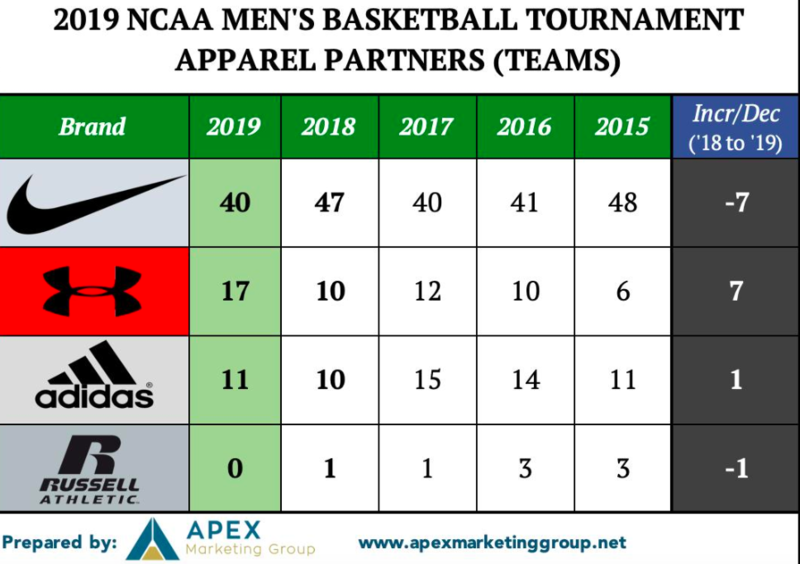 According to an analysis by Apex Marketing Group, Nike sponsored 40 of the 68 schools heading to the tournament, down from 47 teams in last year’s field. All four teams earning No. 1 seeds in their respective regions –Duke, Virginia, Gonzaga and North Carolina – are Nike colleges. Adidas had 11 schools, up from 10 the prior year. Under Armour’s top-ranked school is No. 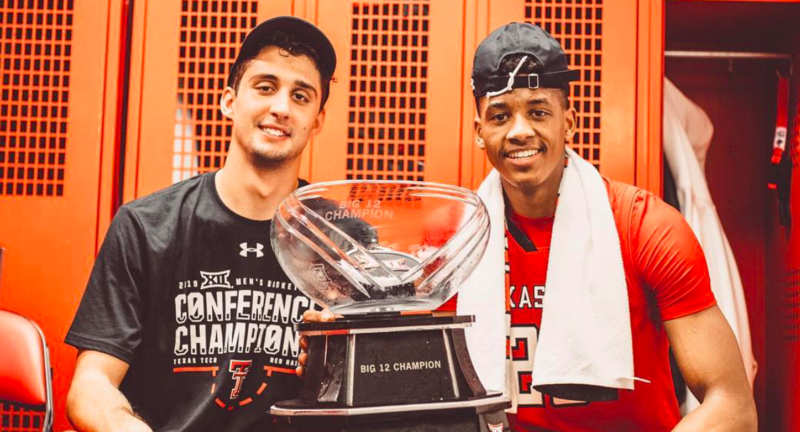 3-seed Texas Tech University, who will play Northern Kentucky University on Thursday. Under Armour’s other higher-ranked schools include the University of Wisconsin and Auburn University, both No. 5 seeds, and No. 6 University of Maryland, College Park. The other single-digit seed is No. 7 University of Cincinnati. Twelve of the Under Armour schools are either ranked 10, 11 or 12. Temple University, an Under Armour partner, has already lost to Belmont University in a play-in game on Tuesday. St. John’s, another Under Armour partner, faces Arizona State University on Wednesday night for the chance to play against the University at Buffalo.